“It is always so powerful, almost surreal, to be observing this mass of people gather,” said Rabbi Lipsker. SEPTEMBER 6, 2018 – There’s a certain weighty seriousness to the High Holidays. Congregants spend much of the day in an assigned seat, dressed in formal clothing, thinking about all of the past year’s mistakes. After services, however, many Jews on the North Shore go home, have something to eat, and maybe take a nap. Just as the sun begins to set on the first day of Rosh Hashanah, some change into shorts and flip flops, grab the dogs and the kids, and head to the beach for a difference kind of Jewish experience. Local rabbis describe Tashlich – when Jews toss bread into flowing water to symbolize the casting away of sins – as a relaxing time for peaceful contemplation in a beautiful place. 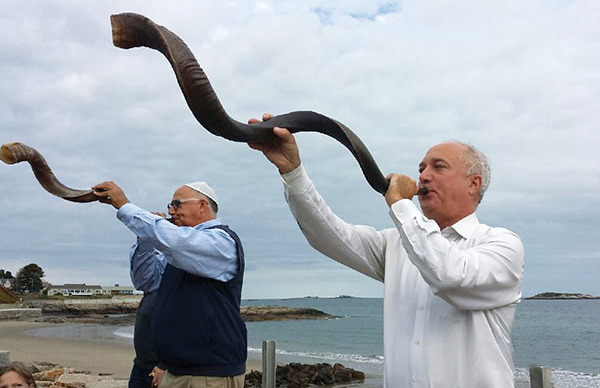 Rabbi David Meyer (right) of Temple Emanu-El and Don Ganz sound their shofars during Tashlich at Preston Beach in Swampscott. Rabbi Yossi Lipsker of Chabad of the North Shore, who leads a service at King’s Beach in Swampscott, agreed that the joy of Tashlich comes from the experience it provides. Anyone is welcome to join in any of the Tashlich services on the North Shore. 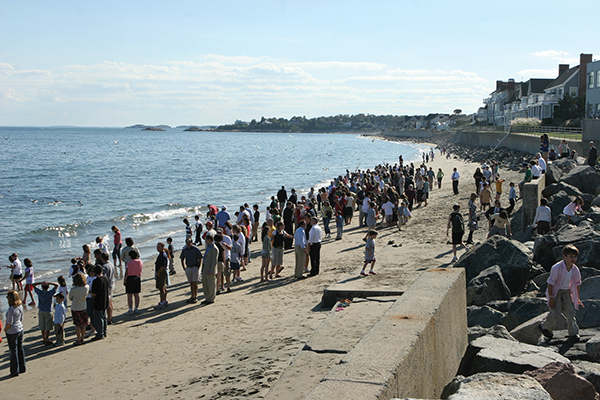 Some congregations, including Temple Emanu-El in Marblehead and Temple Ner Tamid in Peabody, lead walks to Preston Beach in Marblehead/Swampscott and to a stream in Peabody, where their respective Tashlich services are held. Members of other congregations show up on their own. At the beginning, rabbis often lead a shorter service of prayers, songs, and readings. Rabbi Nechemia Schusterman of Chabad of Peabody puts together a five-minute “slacker service” of basic prayers and the sounding of the shofar. Rabbi David Cohen-Henriquez of Temple Sinai in Marblehead said his congregants are usually in a “chatting mood,” so he skips the usual Mincha (afternoon) service, and leads readings and meditations on the themes of Tashlich, often in English. One of Cohen-Henriquez’s readings is a humorous look at the types of bread corresponding to the types of sins. For example, pretzels are best for particularly twisted sins, waffles for indecision, and sourdough for having a bad temper. Some people stay with the rabbi for more prayers and meditations, and others, with the appropriate bread in hand, head to the water to cast away their sins.  Perlman noted that Rosh Hashanah marks the beginning of a period of reflection that leads up to Yom Kippur known as teshuvah, or “repentance.” “The casting away of bread is just part of that whole process of not asking for forgiveness, but accepting the fact that we have sinned,” said Perlman.